Here you will find reviews for all things heavy metal: concerts, albums, and more! These are sorted by category/year and provided exclusively by the writers of Unstoppable Force, new and old staff members alike, as well as other contributors throughout the years. Enjoy! Mercury Tide returns after some absense with their sophmore album, "Killing Saw". Given founding member & vocalist Dirk Thurisch's work with Angel Dust and Mercury Tide's debut album, one can only expect amazing work. The opening track, "In the Shame of Trust" is a soft piano intro that leads into the fast-paced title track, "Killing Saw". Heavy guitar and just the right amount of keyboard set that familiar tone Mr. Thurisch has been know to execute in his song writing. "Home" continues a heavy, riff-oriented pace. A very dark overtone presents itself in the songwriting. "Searching" and "Out of the Darkness" are two epic tracks with big sing-along choruses, while "World of Pain" and "Lord of Memories" showcase Dirk's vocal range. "Satan Sister" is an instant classic, with its amazing guitar riffs, powerful & soaring vocal execution, and a chorus that demands you to sing along! The closing track ""Have No Fear" rounds the album out nicely by using the same piano medly heard in the opening track, only played in a different key. Acoustic guitars, keyboard, heavy guitar, great drumming, tons of riffs.....it's all here! Mercury Tide are BACK, and their newest album "Killing Saw" will inject your soul with pure musical genius. Copyright 2000-2012 Unstoppable Force. All Rights reserved. Best viewed while listening to heavy metal. 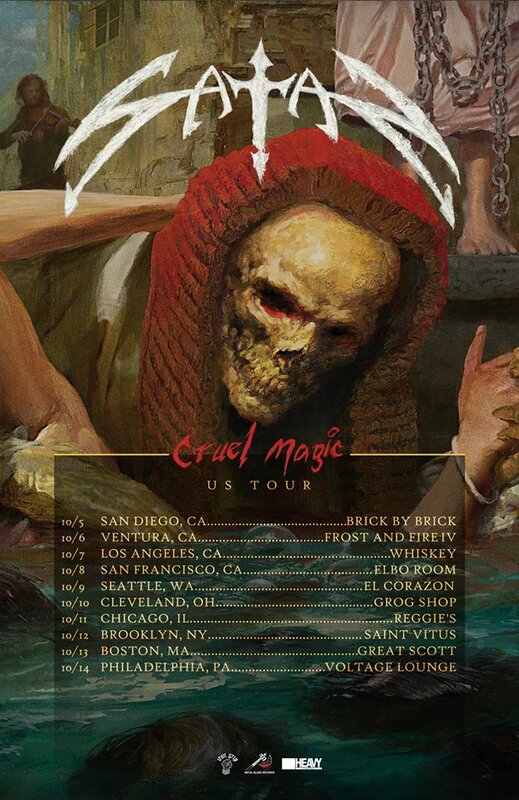 We will release our new album 'Cruel Magic' on September 7th! 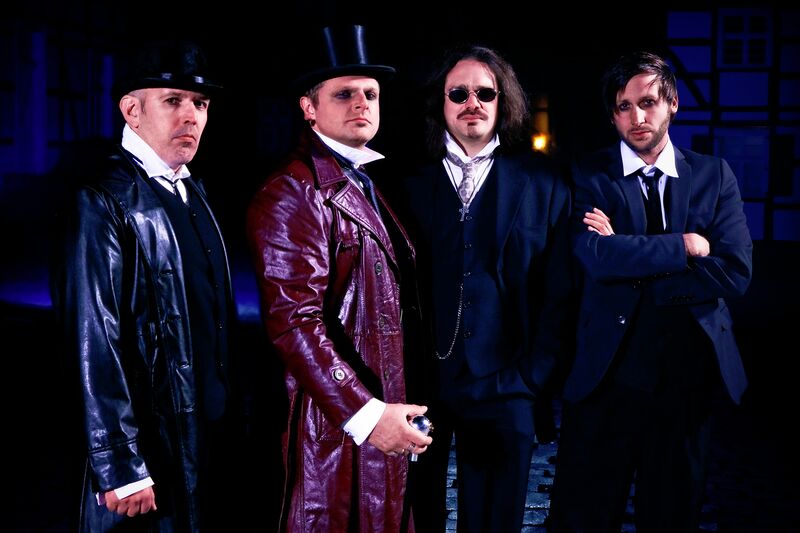 A preview of 'Cruel Magic' is available over at www.metalblade.com/satan, where you can watch the video for the first single 'The Doomsday Clock'. 'Cruel Magic' will be available in several formats including a limited boxset, several vinyl editions and two CD formats. Pre-order starts today! For the new album we once again worked with our trusted team Dave Curle (recording/engineering, First Avenue Studios) and Dario Mollo (mix) - and we're extremely excited about the result! We truly feel we've got it 100% right this time, the balance between considered content and reckless performance. We always break loose on stage so why not on record? Continuing the tradition of the last three albums, the artwork for this new LP was created by the fantastic Eliran Kantor! Last night, the first METAL BEER HORROR Podcast was recorded, honoring Chris!! Once edits are complete, a link will be posted. 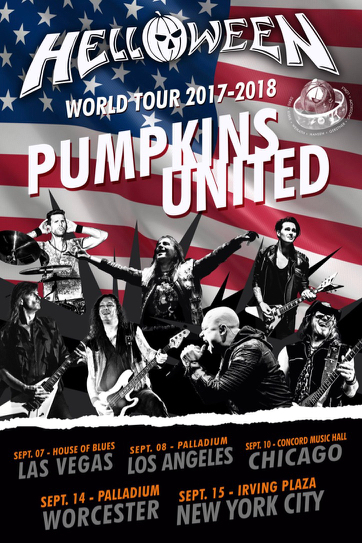 German metal legends Helloween, who have reunited with vocalist Michael Kiske and guitarist/vocalist Kai Hansen, have announced North American dates for their Pumpkins United World Tour. Helloween�s �Pumpkins United� track is available via Helloween.org as a free download. 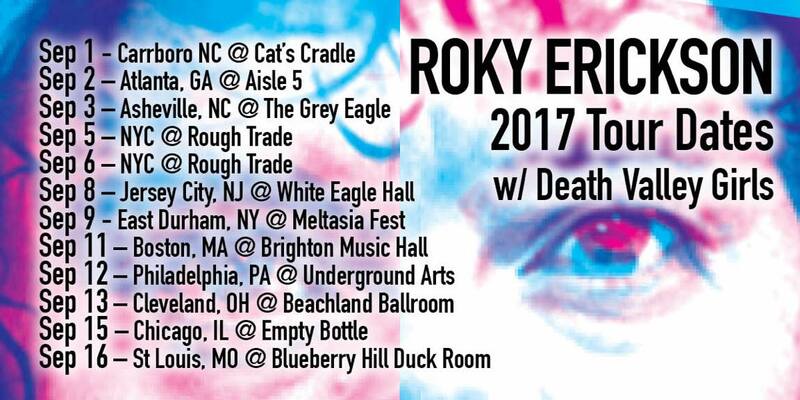 The founding member of The 13th Floor Elevators and a pioneer of the psychedelic rock genre, ROKY ERICKSON, is on tour!! Further details can be found on Roky's official Facebook page. A few CONCERT & RECORD reviews are being composed. This page shall continue on, in tribute to Chris!! PODCAST possibilities are being looked into. As this developes, information will be provided. I conducted an interview with California's CAGE a while back in 2010. I finally managed to find a way to upload this onto the net; sorry for the delay. It's actually quite informative!!! CLICK HERE FOR THE CAGE INTERVIEW!! CLICK HERE FOR THE SATAN INTERVIEW!! I conducted an interview with Brian Ross (Vocals), Steve Ramsey (Guitars), and Graeme English (Bass) of N.W.O.B.H.M. Legends SATAN @ Black Bear Bar, in Williamsburg - Brooklyn NY on night #1 of their first EVER tour of the States. The following link will bring you to YouTube for this audio only interview. ENJOY!!!! February 19TH, 2013: Hello everyone!! The BAD DOG BAD show review can be found in 2013 CONCERT REVIEWS. Enjoy!!! February 10th, 2013: Hello readers!! The ATTACKER show a few weeks ago was amazing.A new review can be found in 2013 CONCERT REVIEWS. Enjoy!!! January 3rd, 2013: Happy New Year!! Several 2012 CONCERT REVIEWS were just added. Enjoy!!! December 28th, 2012: Back up & running? July 2nd, 2012: A new review has been posted for Mercury Tide's album, "Killing Saw." Click here to check it out. July 2nd, 2012: The Mercury Tide band page is now online! Check back soon for an exclusive interview and more information. July 2nd, 2012: The website relaunch is now online! More updates coming soon.